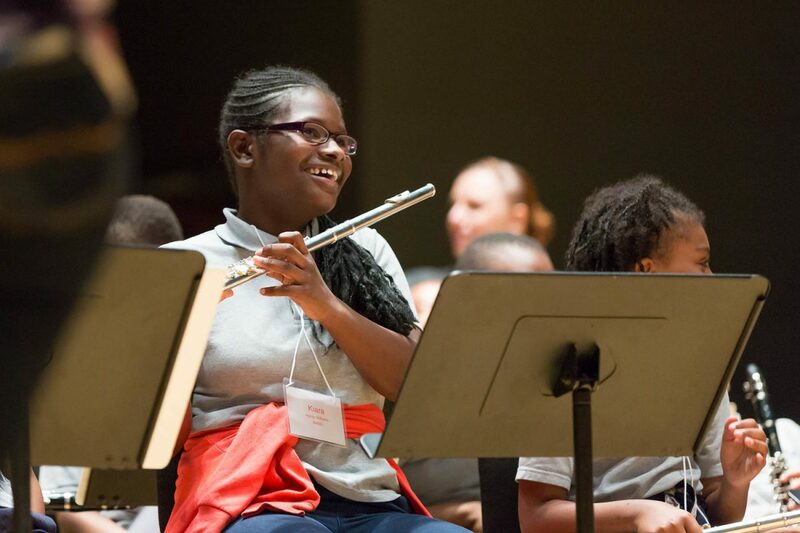 Launched in fall 2013 to expand the music training for children in schools throughout the city, Music Education Pathways is generously supported by the William Penn Foundation and serves as a model for how arts education can change lives and whole communities. Music Education Pathways connects neighborhood schools in Philadelphia with Settlement’s Branches and, depending on the school’s needs, provides ensemble training experience in band, orchestra or choir, or supplementary individual and group instruction. Music Education Pathways will not serve as a replacement for existing music programs in the schools, rather as a partnership to enhance opportunities that are available to students. The program promotes Creativity, Teamwork, Responsibility, Persistence, and Self-Evaluation as core values to guide teaching and learning. It also brings parents and families into the arts education environment by offering programs and performances at Settlement’s Branches. Music Education Pathways will create a network of support—from home to school to Branch—that enables students to grow in their educational, creative, and social endeavors. Each year, the program culminates in a joint performance, with students from all participating schools working together to rehearse and perform a full concert in a major public venue. Music Education Pathways is supported by the William Penn Foundation, the Paul M. Angell Foundation, Comcast, the Hearst Foundation, PECO, Univest, the Vert Charitable Trust, and additional individual donors. Improvise during activities such as call and response by creating their own rhythms and melodies using specific parameters. We are dedicated to bringing the highest quality arts education to the neighborhoods we serve.